A defiant woman…in a desert king’s world! After inheriting a broken kingdom, Prince Rafiq made a vow—to restore its pride by winning a prestigious horse race. To ensure success, he hires an English expert. But even notoriously controlled Rafiq is shocked when his new employee is introduced…as Miss Stephanie Darvill! Stephanie is determined to leave her shameful past and broken dreams behind—she will prove to Rafiq she deserves his trust! 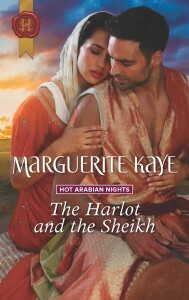 But this hard-hearted desert sheikh calls to Stephanie in the most primal of ways… Dare she give in to her wildest desires?